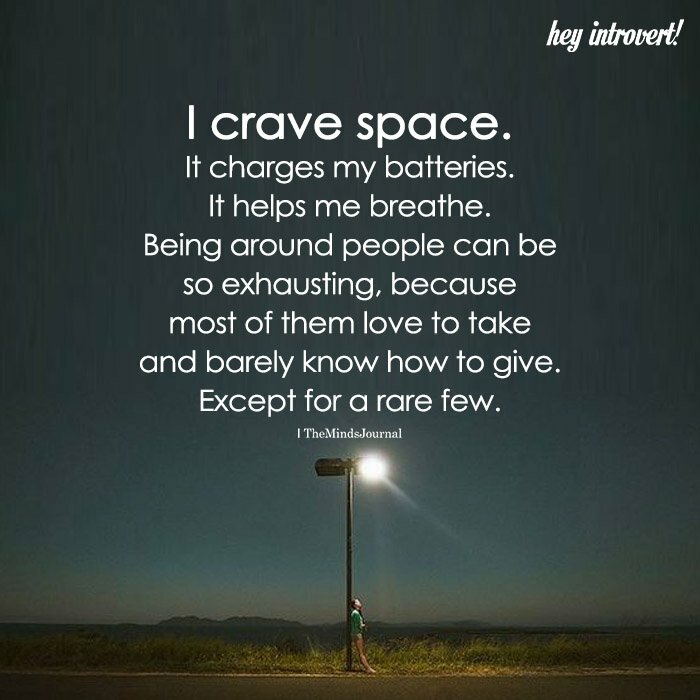 I crave space. It charges my batteries. It helps me breathe. Being around people can be so exhausting because most of them love to take and barely know how to give. Except for a rare few.